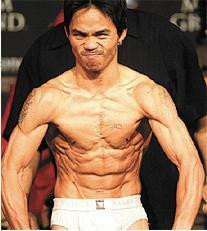 I want to say about ‘Manny Pacman Pacquiao’ today. He is boxer who conquer eight weight division at first; it include minor organization’s league. Regardless of the kind of sports, he has number-one awareness in Asian. The reason is boxing is ecumenically popular sports, and especially his most games are wonderful.